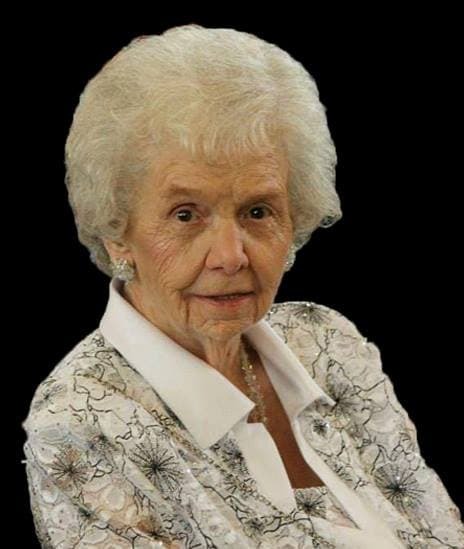 Obituary for Evelyn (Buerhaus) Zlock | J. F. Rice Funeral Home, Inc.
Evelyn Buerhaus Zlock (Meme) 95 above all was a wife, mother and grandmother. She was Mom to Marilyn/Jim Carter, Liz/Bob Linville, George/Jody Zlock. She was Meme to Ben Linville/Jen, Sara/JD Rusin, Allison Zlock, Marissa/Joe Brennan, Mareena/Adam/Tyler/Reid/Ezra Bixby, Kiaira Linville/Bo/Jasiah, Kaileen and Arianna Rusin. She was Sis to Vera and Sarah. She was predeceased by her husband George and her brothers Ed and Tom. Her love extended to many nephews, nieces, friends and neighbors. Mom was born in Baltimore where she remembered lamplighters and scrubbing the marble steps with BonAmi. Mom’s favorite job was being a mother and grandmother of 3 generations. She was a Christian, immaculate housekeeper who canned, baked and loved company. She was a Rosie the Riveter at Martins where she met Dad. She was always concerned how everyone was doing, praying over you all. Her love is a legacy that will strengthen and direct us all our lives. Thank you for the kindness extended to mom and us by friends, family, medical professionals (especially Toby and Colleen), Wilson Hospital North Tower3/CCU, Hilltop Nursing Home and Colleen, her hairdresser. Donations can be made to a charity of your choice in Mom’s memory. Funeral Services will be held at Ascension Lutheran Church 324 Clinton Street, Binghamton, Friday, 10 AM. Burial at Slovak Lutheran Cemetery. Calling hours at J F Rice 150 Main St. J.C., Thursday, 4-7 PM.